IResearch data shows that GMV mobile shopping market in China reached 929.71 billion yuan in 2014, surging 239.3% from 2013. The growth was much faster than the overall GMV China’s online shopping market which increased by 49.8% and stood at 2.8 trillion yuan in 2014. iResearch expects the mobile shopping will continue the high-speed development in the coming years and should GMV exceed 4 trillion yuan in 2018. 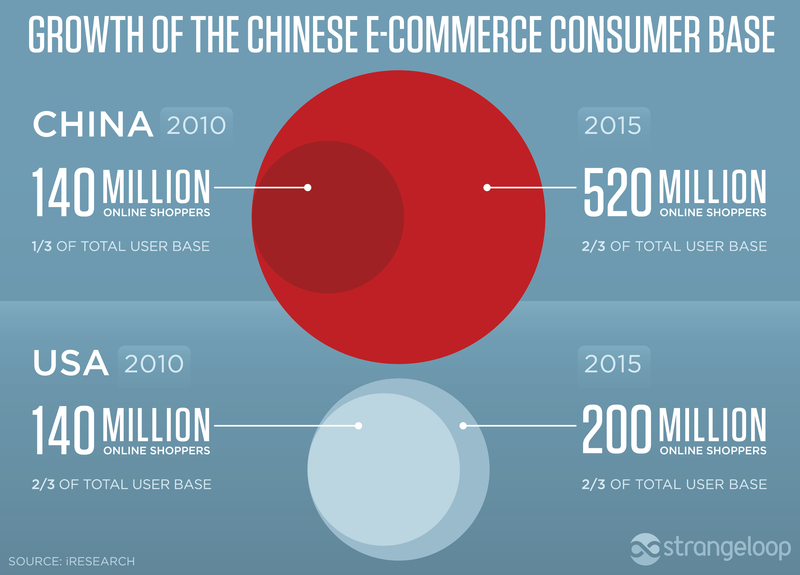 In 2014, mobile shopping has taken 33.0% of the Chinese market of online business, increasing by nearly 19% over the previous year. iResearch believes that mobile shopping will continue to increase its market share in the coming years and finally surpass PC purchases online in 2016. Using the mobile Internet surge, switch from PC to mobile Internet users, enhancing the mobile business scenarios, increased efforts ecommerce operators about the companies and the development of platforms for Mobile mobile shopping all contribute to mobile shopping outbreak in China. Therefore, it is expected that mobile shopping will maintain rapid growth in the coming years. In 2014, sales of new cars in China reached 23.49 million units, of which 300,000 units were sold in the e-commerce channel. Meanwhile, sales of used cars totaled 6.05 million units, of which 240,000 were sold in the e-commerce channel. In terms of market share in the mobile shopping sector, Alibaba, JD and Vip took the first 3 places in 2014 with a respective share of 86.2%, 4.2% and 2.1%. iResearch attributes this to three factors. First, with a share of 86.2% of the market, Alibaba is the absolute market leader. Taobao and Tmall with, its mobile business was to penetrate all aspects of everyday life of people. Second, JD cooperated with Tencent to walk to the mobile shopping with mobile app, WeChat shopping, mobile shopping and QQ Vdian. And third, Vip, Suning, Jumei, yhd, Gome, Amazon, Dangdang, etc all have invested more in the mobile shopping which has intensified competition. In the automotive market, buyers have low loyalty but very price sensitive. Although China e-commerce automobile market has low penetration and characteristics different from traditional e-commerce, iResearch believes he still has a huge potential boom in e-commerce, favorable political and economic environment. Car Features transactions and after sales service determine that the e-commerce automobile market can not be separated from the offline service. Therefore, when the price of the car gets closer to its cost in the future the price war, offline service will be the key factors for online purchase. In addition, it can be seen that the development of online selling cars depend on the quality of the service offline. Car companies will develop their business with excellent service for all of the industry chain so they can maintain the user base. The function that the automotive industry needs a large amount of capital and resources imply that only car giant with rich resources can provide a service covering the whole industry chain in the future. New cars have a higher value and car owners need a long period of service, so participants drive the e-commerce market will bear their sites on the new car market in order to obtain stable income in the long term. Mobile passage is optional only for now, but a representative said Alibaba Tech in Asia than two million traders have already opted for one method smartphone in the two weeks since the new tools are available in beta. “The growing adoption of smartphones and mobile shopping in China means that online marketers need to shift their activities from PC to mobile,” said Zhang Kuo, director of mobile business division of Alibaba Group, in a statement. This means an online vendor runs their store and add new products just from their phone rather than using the interface based on a desktop browser. To make this process easier on mobile, traders can scan the bar code of a new product with their phone to add it to store inventory using the Taobao application. “To complete shipping procedures of goods, traders can simply scan barcodes on shipping invoices to enter the package tracking numbers, without the need to manually enter,” said a spokesman . New Taobao merchants can even begin their store from scratch in Taobao application, without the need to fire up a laptop. Across Taobao and Tmall sister site (a market for large commercial and large brands), Alibaba has 334 million customers. Of the total 787 billion yuan (126.4 billion US dollars) in consumer spending (GMV) on both estores in Q4 2014, 42 percent of this count was spent by people shopping on mobile devices . 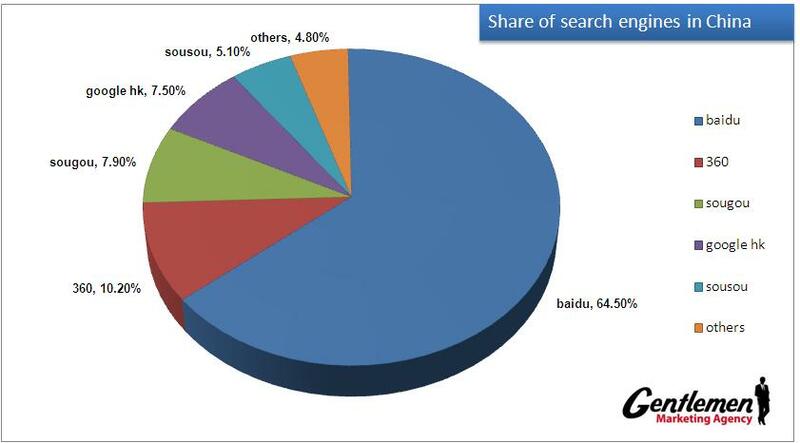 Baidu is the number 1 search engine and most popular in China, with about 63% of the country’s market share. BANKING increase your website on Baidu requires a slightly different way of thinking about search engine optimization (or SEO) compared to what you might be used to Google’s requirements. In this article, we’ll explain the factors that determine the ranking of your website in Baidu. This is not a complete guide by any means, but explores key aspects of sufficient detail to make a difference to your site. So, let’s begin. Greatest attribute of Baidu and main selling feature is that they only clue simplified Chinese characters. One of the main issues of the indexation of the Chinese language is that: There are so many different dialects in China, so There are often several different characters for the same keyword. For the search engines in the hope of index sites in China, this can be a problem, not to mention those index both Chinese and English. The Baidu algorithm for crawling image is still very basic. The ALT attribute is the most important factor for the classification of images, to ensure that they are used on each image. Unlike Google and Bing, Baidu still uses meta descriptions as a ranking factor. Make sure that each meta description one or two keyword phrases with a brand term. Also keep in mind that the limit buffer meta description for Latin characters is 156, so the limit for simplified Chinese characters is 78. 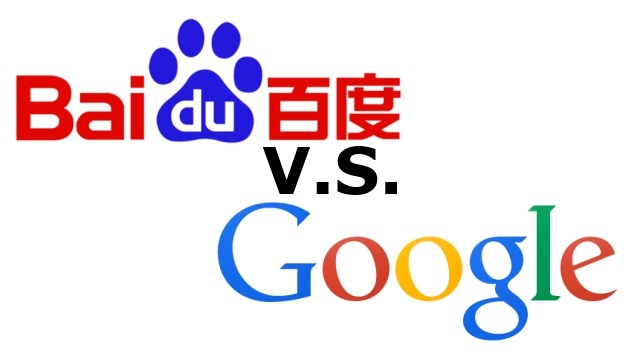 Heading to use Baidu is no different than any other major search engine. Make sure that each page has a h1 tag that appears before any other heading tag. Also make sure your title tags follow a hierarchy. Be sure to include keywords in the title tags, but avoid keyword stuffing. In the Chinese language, there are several dialects and multiple meanings in one word. A word could have seven different meanings. All the words in the content should be checked for relevance and other meanings for the right words are used. From the perspective of marketing, this means that you need to hire a Chinese native speaker with strong language skills and knowledge of different dialects in China. Baidu relies heavily on content quality and quantity to meet the rankings. Each page on the site that you want to rank should have a unique content minimum of 300 words. Title tags should be written in the same way as you would for Google, but with a limit of different characters. With romanized characters, the limit of title tag buffer is 70 characters. Simplified Chinese character is two characters, so that the buffer limit is 35 characters. During the construction of the tag, use a keyword rich which is descriptive of the content of the page, followed by a trademark term. Corporate blogs are an important element to have on a website. Blogs not only allow for more internal links, they also show that Baidu site is rich in content and updated frequently. Baidu also has a news feed for blogs, which can help drive in more organic traffic. Do not forget to submit the blog to the Baidu news wire. Meta keywords may have been eliminated by most other search engines, but Baidu still used as a ranking factor. They should be implemented on every page on the site and should include 3-5 keyword phrases. Avoid keyword stuffing. All content and meta tags must be written in simplified Chinese characters. Baidu prefer simplified to traditional Chinese characters, and does not like Latin characters. Baidu does not like websites that use subdomains and multiple domains. One domain per site should be used. Other language versions of a site must be hosted out of a separate domain and should not be linked to the Chinese version . Subdomains should not be used at all. Do not use iFrames for any important content. Baidu is not the spider any element of a page in an iframe . Baidu does not like websites that use subdomains and multiple domains. One domain per site should be used. Other language versions of a site must be hosted out of a separate domain and should not be linked to the Chinese version. Subdomains should not be used at all. Site speed is an important factor for ranking Baidu. A site that loads slowly will have a much lower chance of ranking well. This further strengthens the case for hosting the site on a server in China, which will be explained later in this article. Baidu does not like websites with a robots.txt file. If there is currently, it must be removed. Important rules that would normally be placed in the robots.txt file should be set in .htaccess or IIS server settings. Aside from preferring Chinese areas, Baidu also preferred sites be hosted in China. This will also improve the loading speed. Baidu prefer websites with the following types of domain: .cn, .com and .net. Websites using a .cn domain are generally given preference over all other types of areas. 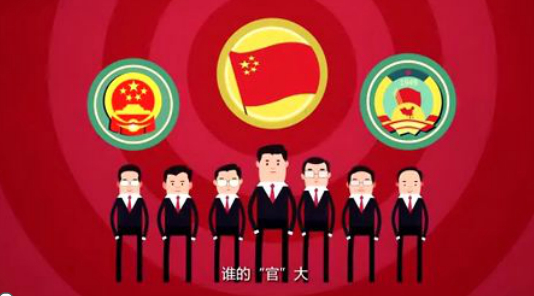 The Chinese government censors Internet content many of its citizens, including most of Google services and the major social networks. If a piece of content contains words blacklisted by the Chinese government, Baidu will de-index the page or the entire site. Everything on this list of words blacklisted by the Chinese government should not be used anywhere on the site (variations of such words should not be used, either). If your site allows for user-generated content, make sure to put in measures to reject any content submitted by those words. In China, a special permit is required by the Chinese government to have a chance to achieve high rankings in Baidu. Obtaining an ICP license by the Chinese Ministry of Industry and Information Technology will greatly improve organic search rankings. A legitimate physical address in China should be included somewhere on the Web site to establish China – rest of the site. Chinese Fashion is Changing… really ! Observe how she has blended bright and darker colors, with fantasy related motives. I like the names of her collections too : Opaline Blossom for her second collection on its way in February 2015 and Kaleidoscopic skies. Fashion Week China wrapped seven days of parades Tuesday, featuring a variety of fresh and colorful creations as well as slightly odd by designers looking to make a mark among the conscious label. One of the hottest tickets of the week for fall / winter 2015-2016 was for the designer Sheguang Hu, whose fame exploded last year when several models wearing his skyscraper heels stumbled on the podium. Shoes high platform remained in the collection of Hu this year the designer paid tribute to his roots with Inner Mongolia gray winter jackets as quilt decorated with touches of red and green colored floral prints both popular in northern China. “When everyone thinks cotton quilted jackets, they think of their childhood memories,” said Hu, adding that he wanted people to remember his designs. He said many Chinese designers looking for a way to integrate their culture in their work. Instead of the event was opened by a group of young Chinese designers, some of them still students, who won a contest for the privilege. But Liang was more optimistic. “I know that the greatest challenges are still ahead of me,” he said. Another winner, Liang Diyun, 22, opened his studio in Beijing last year, but the brand has yet to get off the ground. “The taste of the Chinese public is far less advanced” than in Western countries, he said. Some Chinese labels that have emerged over the past 15 years – as Zuczug or JNBY – have managed to establish themselves and now have hundreds of shops, but international experts say Chinese designers have yet to find their identity. “Honestly, I see a lot of pretty things in China, but nothing I would call modern Chinese style has yet emerged,” Anna Wintour, editor of Vogue, said during a visit in January. It makes me think about colors and fairy tales when I look at all of this. No doubt that little (grown ups 😉 ) girls will relate to these collections! 1. China Stage V Standards for Gasoline and Diesel will go into effect by end of 2016. China Stage V Standards for gasoline and diesel will go into effect nationwide by end of 2016. According to China Business News, Serious enviromental problem is taking attention of central goverment. The China V standards was set to go into effect in 2017. In February 2013, the State Council issued a timetable for its program to upgrade fuel quality nationwide. By the end of 2014, automotive diesel fuel sulfur would be set at 50 ppm (China IV or National IV) and by the end of 2017, sulfur limits for automotive gasoline and automotive diesel would be 10 ppm maximum (China V or National V). The explosive economic growth has led to cities choked with both smog and traffic jams. A rencent documentry “Under the Dome” which is about pollution in China, produced by Ms. Chai Jing, was spreading on Internet rapidly. It gives a pressure to the authorioty to take actions on enviroment proection. According to Automitive News China, Ricardo PLC signed an agreement with Chongqing Lifan Automobile Engine Co. to develop a 1.0-liter turbocharged direct-injection engine for small vehicles. Ricardo engineers in Shanghai and the United Kingdom will work on the project, the company said, and the engine will help Lifan meet China’s Stage 4 fuel economy requirements. Shanghai GM plans to produce a 3 cylinders 1.0T engine in Wuhan, Hubei province. According to a release from Hubei Development and Reform Commission, which approved the SGM next generation C series engine project. The project will invest 1.9 billion RMB, and the capacity will be 300,000/year. 4. Geely plans to invest in Belarus and the U.K.
Zhejiang Geely Holding Group Co. plans to establish a joint venture factory in Belarus. This factory will have a capacity of 120,000 vehicles per year, assembling cars mainly for Russia and Ukraine markets. Geely will invest 250 million pounds (2.6 billion yuan) to build an assembly plant in the United Kingdom to produce the iconic London taxicab. The factory, to be constructed in Coventry, England, will produce up to 36,000 vehicles a year, Geely said. That will be 10 times the annual production capacity of London Taxi Co.’s existing plant in Coventry.